I'm fairly certain I have exercise ADHD. But I'm accepting it and making it work for me instead of fighting against it. Instead of feeling guilty over switching from a DVD program to running and then over to something else I'm telling myself it's okay, variety keeps things interesting and challenges my body to engage different muscles. Of course, finishing the expected 30, 60 or 90 days of one particular program would be fantastic (!!) but...my ADHD usually kicks in long before 90 days. Last month I participated in the #60milesinjuly run/walk challenge on Instagram and made it to 38 miles, which was great for me because I hadn't been running at all in months, but I quit on Insanity and pretty much didn't do anything else except PiYo a couple of times. I felt like just focusing on running was too one dimensional and while it's great for my legs, I was slacking with my strength training (Insanity incorporates various body weight exercises along with cardio). In one of my recent posts I mentioned how I was trying out Shaun T's new dance program, CIZE. I really, really like it. He is such a good teacher, breaking things down into simple movements and then building upon them until before you know it you're dancing a hip hop routine and thinking you're cool. I've done the first three routines so far, Crazy Eights (Hands in the Air by Timbaland) and Full Out (Lose Your Breath by Destiny's Child) being my favorites. I'm anxious to try the fourth one (called In the Pocket to Problem by Ariana Grande) because it looks really fun but also more complicated. Just for fun one day I kept my hair down, because apparently that's what dancers do so they can also do some hairography along with the choreography. But I felt like my dance street cred went up a teeny tiny bit. While CIZE is going to be tons of fun and will be good for cardio, I don't want to only do that. I'm so glad I have several different Beachbody programs to choose from, the variety keeps me motivated and challenged. And my exercise ADHD is calmed. This week I went back to my tried and true ChaLEAN Extreme for strength and mixed in Les Mills Combat for cardio. I'm only four days in but it's been fabulous. I'm doing the PUSH Phase which rotates three heavy lifting circuits. Chalene Johnson knows her stuff y'all and is such a great motivator. It's also been so fun to get back into kickboxing, I just love punching and kicking things (don't worry, I'm just hurting the air). These gloves make me feel so kick box-y, yo'. Y'all know that TurboFire is my soulmate workout, which is also kickboxing based, but it's more dance-y. 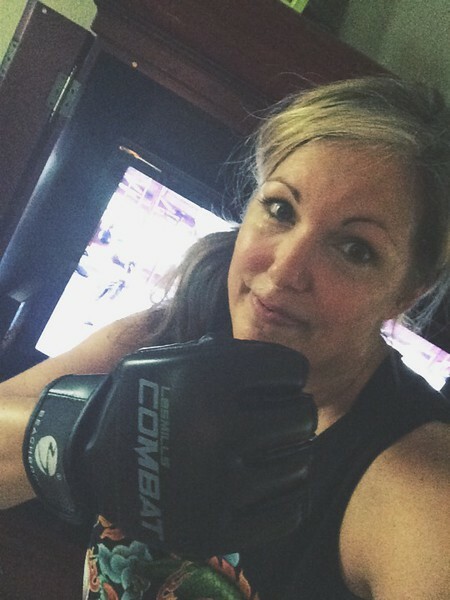 Les Mills Combat is kickboxing but is more mixed martial arts-y. Both have fantastic music that really keep you motivated while you melt in puddles of sweat. Sidenote: I'm not a Beachbody coach (although I have toyed with the idea), I just like to share info about their programs in case y'all want to try them too. I know that a gallon of water seems like a lot but it's totally doable once you get used to it. Really! I have a 32 oz. water bottle and I try to empty it and refill at least four times throughout the day. Of course, I have to tinkle all the time, but that's okay. Shaun T always says to incorporate exercise into life doing what you enjoy, whatever that is. Tony Horton says variety is the spice of life. Often the biggest hurdle is just getting started, so doing something you like and that challenges you is a win-win. Try to do something active most days, that's my new mantra. What's challenging you lately? Let's keep each other accountable! I really like kickboxing moves too, but I can't get my body to do the moves fast. It makes me laugh so hard. I'm just a slow poke, I guess! If I get going too fast I fall over like a top spinning out of control. :) So I'm super impressed that you can do those videos! I'm on Day 3 right now of 21-Day Fix. So far, I'm loving it. This program is a good re-set button for me. I'm focusing on portions and healthy eating and the cravings for junk are already diminishing. That's great about doing the 21-Day Fix, I bet it's an awesome program, especially for the nutrition/portion control--it always seems to come down to that, doesn't it. 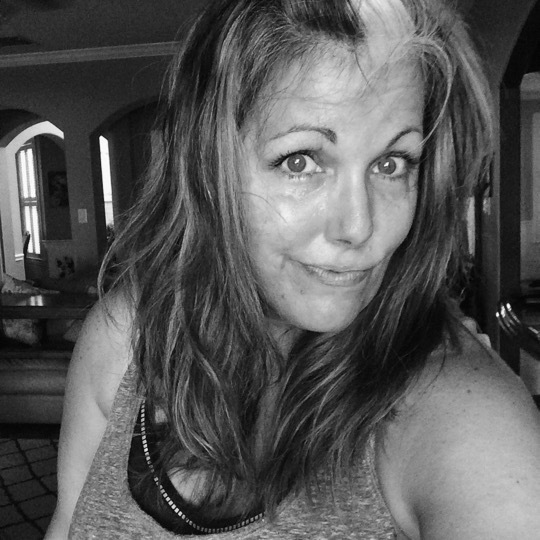 I've considered trying the Extreme but I worry about Autumn as a motivator/trainer--I've been spoiled by Chalene Johnson, Shaun T and Tony Horton.